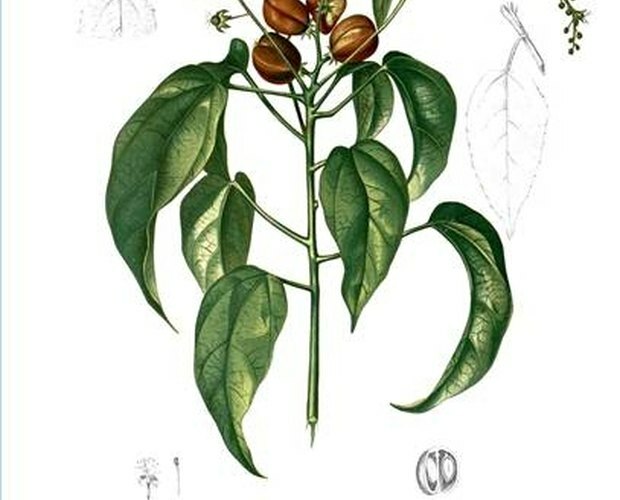 Croton oil comes from the seeds of the Croton tiglium, a small tree native to India and the Malay Archipelago. The oil is a powerful purgative and irritant that causes severe diarrhea and skin lesions. Doctors once gave patients croton oil to treat bowel problems and other illnesses. Because croton oil is poisonous, its use is rare today except as an ingredient in certain skin-peel treatments. Croton oil, or oleum tiglii, is a viscous, transparent liquid that is usually yellow to light brown in color. It has an acrid, unpleasant taste and a slight odor. The ancient Chinese were the first to use croton oil as a medicine. In the late 16th century, European merchants brought the oil to Europe from the east. Its main uses were as a purgative and counter-irritant. Croton oil's powerful toxic effects eventually caused it to fall out of favor with most medical practitioners. In the 1920s, phenol-croton oil peels became a popular skin-care fad. Used on the skin, croton oil causes burning and redness followed by skin lesions. Taken internally, just a single drop of croton oil quickly leads to abdominal pain and diarrhea. In large doses, it is highly toxic. Overdoses can result in intestinal inflammation, pain, vomiting, bloody stools and death. Patients received croton oil as a purgative, usually to treat constipation. The oil causes violent bowel movements of watery stools within one to two hours. Croton oil also functioned as a counter-irritant, a substance aimed at inflaming one area of the body to lessen inflammation in another. Those illnesses included rheumatism, bronchitis and glandular swellings. 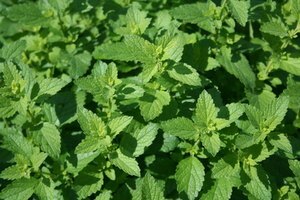 It also has been used as a liniment. The main use for croton oil today is as an active ingredient in phenol-based facial peels. Dermatologists, plastic surgeons and other practitioners can vary the amount of croton oil in the peel to customize the treatment for a particular patient or skin area, such as on the neck or around the eyes. In Malaysia, people use croton oil in lamps and in soap. Some researchers have studied croton oil as a potential cancer treatment. Rutgers Professor Allan H. Conney led a study in 2005 that reported that a croton oil-derived compound halted pancreatic cancer in mice. A year earlier, Conney and his colleagues researchers found similar results using a croton oil compound against prostate cancer in mice. Because of its toxicity, croton oil usually is administered in tiny doses of no more than one or two drops. An overdose can be fatal. Anyone handling croton oil must be careful because even a small amount dropped on the skin can cause lesions. Children and pregnant women should never receive treatments with croton oil.